Vancouver-based ambient drone master Scott Morgan has become a leading name in his niche thanks to the quality work he puts forth as Loscil. Last year, Morgan ended a four-year break between albums with the release of Endless Falls. Rather than wait another half-decade for new material, however, Loscil will follow that up with a new release later this year. 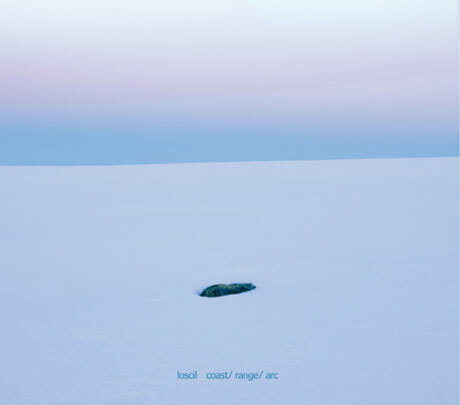 The album is called Coast/Range/Arc and is the seventh Loscil album in total. A press release explains that the record is "centered around the coastal mountains of the Pacific Northwest, studded with glaciers, lakes, waterfalls, canyons, and epic views." While Glacial Movements lists April 2011 as the release date, XLR8R reports that the album is likely due out in May as a CD digipak. In the meantime, you can grab downloads of three album tracks, here.